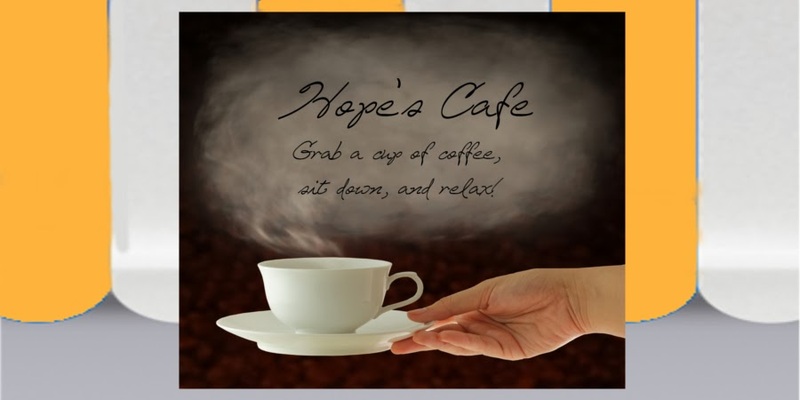 Hope's Cafe: Personal Creations Review and $50.00 GC Giveaway!! Personal Creations Review and $50.00 GC Giveaway!! With Mother's Day coming up fast, it seems everyone is looking for that perfect gift. After all, just any old gift won't do-when I go shopping for my Mom, I want the gift to be perfect! So, if you're anything like me, then you'll enjoy learning about PersonalCreations.com! Personal Creations is an excellent site to go shopping for an assortment of personalized gifts and items. They have a huge selection of products for the home, men, women, children, etc. that can be personalized in a variety of ways! I definitely recommend you check out the site for some great Mother's Day gift ideas! I was able to choose an item for review, and I picked the Dog Breed Pajamas. The neat thing with these is not only do you get to pick the dog breed, but it is personalized with your dog's name! 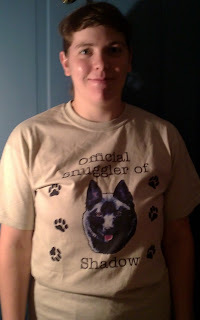 So, my pajamas have a Schipperke head on them, and say "Official snuggler of Shadow"! Right from the start I was so impressed, because it is hard to find anything with Schipperkes! They're not a common dog breed, so most places don't have any Schipperke products. When the pajamas came in I was so excited to see how they looked, and I was not disappointed! The shirt is a tan colored cotton/poly blend, so it is very comfy and perfect for lounging around the house on a lazy Saturday morning! The paw prints add to the cute look, and I love the Schipperke head! It is so realistic and looks exactly like our dog Shadow! The pj pants are black with tan paw prints and "woof" all over, and feature an elastic waistband. "When giving a gift, there's nothing like a gift that says, "You're one of a kind!" For over 10 years, Personal Creations has been helping create lasting memories with perfect, personalized gifts for all of life's special occasions. Whether for birthdays, anniversaries, baby showers - or every special event in between - a personalized gift always delivers the brightest smiles. You want a gift that stands out among all others. That's why we offer hundreds of one-of-a-kind gifts designed exclusively for you. Add a photo, date, name, monogram, event name, special message or many more options for a gift that can be enjoyed a lifetime. It will seem as if you went to a lot of trouble, but only you need to know how easy it is. We take care of every detail for you. Have your gift delivered ready for the party. For just $4.95, we can wrap your gift in our elegant white presentation gift box and gold ribbon. And every order can also include your very own, personalized gift message. Our fast delivery, outstanding customer service and quality gift-boxing service help to simplify your shopping experience. We guarantee that our products are 100% free of defects in quality and workmanship. Most items ship in just 1 to 3 days, and we offer rush delivery on most products for those last-minute gifts." 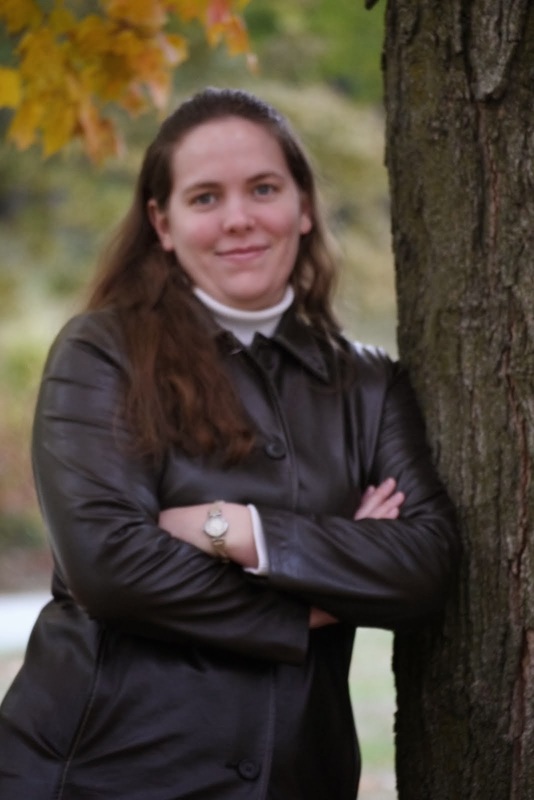 One of my readers will win a $50.00 gift code to PersonalCreations.com!! Go to Personal Creations and tell me your favorite item! 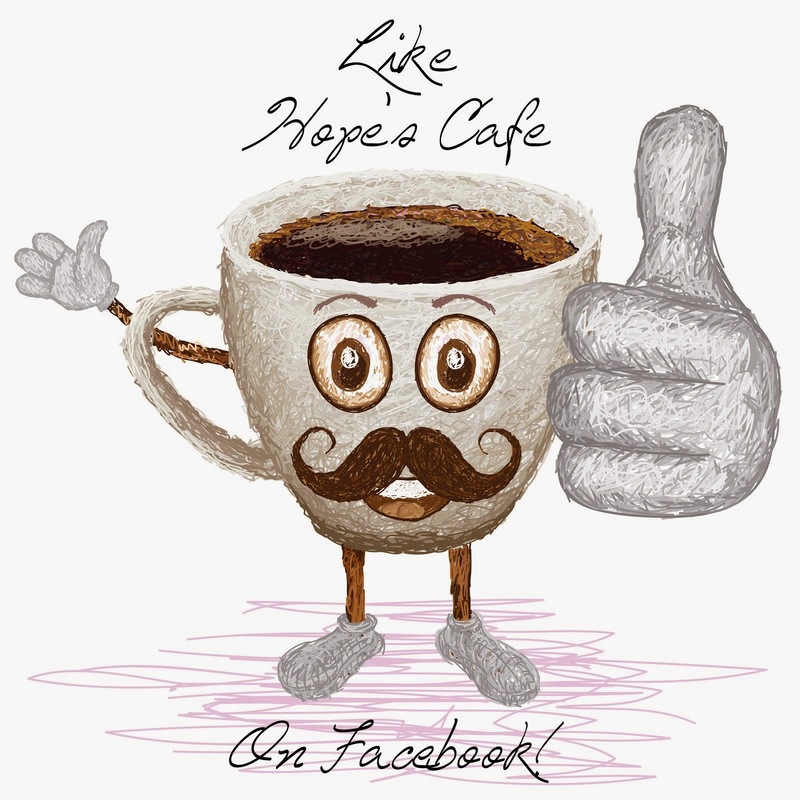 1 entry-"Like" Personal Creations on Facebook; tell them your favorite item, and that you came from Hope's Cafe!! 1 entry-Follow Personal Creations on Twitter! Disclaimer: I was not monetarily compensated in any way for this post. All thoughts and opinions are mine. All quotes taken from the Personal Creations website. I love the Heart Stepping Stones. I like the wedding crock. I love the Baby Alphabet Quilt. I love the Pet toys Storage Box . My fur babies need that, badly. Like Personal Creations on FB and wrote on their wall. I love the Colorful Flower Watering Cans. I like the Pub T shirt. I love the Canvas Bookcase! I entered your COBY giveaway. I like the photo charm bracelets.